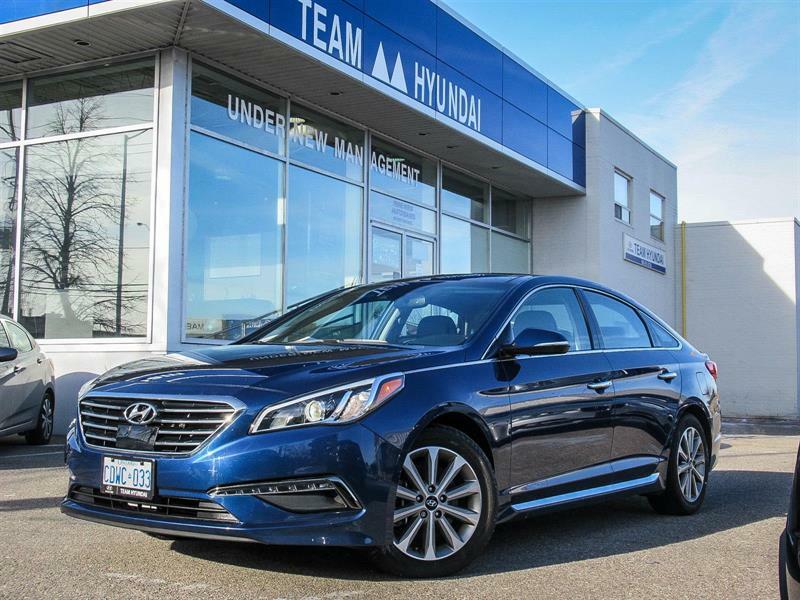 Team Hyundai has an impressive selection of quality pre-owned certified vehicles, offered at a fraction of their original price. When you come to Team Hyundai, you'll shop knowing that you will benefit from unmatched expertise in Hyundai vehicles, products and services, as well as a unique and exclusive choice of certified used Hyundai cars and SUVs in Brampton near Mississauga. We commit to offering you a top-quality, competitively-priced certified pre-owned Hyundai vehicle, along with personalized customer service and the most advantageous financing plans in the region! It is our pleasure at Team Hyundai to offer you an exceptional and unique choice of low-mileage, certified Hyundai vehicles, including a inventory of certified used Hyundai Accent, certified Hyundai Elantra, certified Hyundai Santa Fe, certified Hyundai Tucson and other quality models that you won't find equaled in the region. To help you with your shopping, you can consult detailed specifications of each of our certified Hyundai cars currently in inventory, apply and get quickly pre-approved for credit directly online, and request a test drive of the model that interests you. We are committed to making sure your car buying experience at Team Hyundai for a certified used Hyundai vehicle in Brampton is as simple and pleasant as possible - and saves you more of your hard-earned money!